The University of Missouri System Board of Curators today released the findings of an independent review of the academic rankings of the Bloch School of Management at the University of Missouri-Kansas City. The Board of Curators commissioned the review in response to a request from Gov. Jay Nixon after questions were raised regarding rankings of the Bloch School of Management. The review was conducted by Robert D. Hisrich, Ph.D., who retired as of Jan. 1 as Garvin Professor of Global Entrepreneurship and Director of the Center for Global Entrepreneurship at Thunderbird School of Global Management in Glendale, Ariz. Dr. Hisrich was aided by work conducted by the global audit and accounting firm PwC, formerly known as PricewaterhouseCoopers. The journal article that led to the Bloch School’s top ranking in innovation management research was consistent with generally acceptable professional practices. The $32 million gift from Henry Bloch for a new building was not motivated by past and future rankings but by enrollment growth. 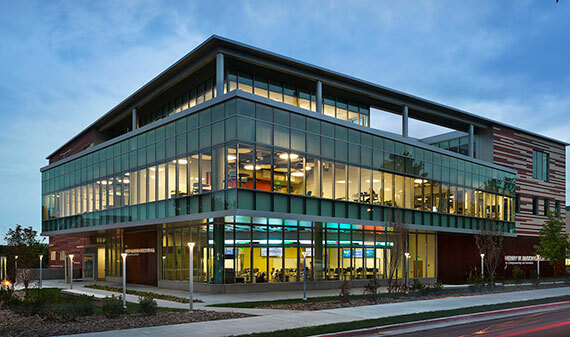 Information provided to the Princeton Review Board for certain years was inaccurate in three subject areas, but he couldn’t conclude that the information made a material difference in UMKC’s rankings. “I am pleased to have the Bloch School’s No. 1 ranking in innovation management research validated, but I take seriously the report’s conclusions on the three areas of flawed data in the Princeton Review application. We have already implemented changes and will continue to seek ways to improve our data collection,” Morton said. The review by Hisrich found no basis for the charge that the school sought to artificially inflate rankings in order to persuade philanthropist Henry W. Bloch to donate $32 million for construction of the new Bloch School building that opened in August 2014. According to the review, the decision to donate the funds was made by Mr. Bloch in the spring of 2011, many months before the publication of the JPIM article. The Hisrich review questioned flawed data reported to the Princeton Review Board including the number of student clubs cited by the Bloch School, the way mentor programs were counted and how certain enrollment numbers were calculated. The Bloch School’s undergraduate and graduate entrepreneurship programs have ranked among the top 25 in the nation five different times. Chancellor Morton said Bloch School Dean David Donnelly has already made changes to the way the data was collected and reported this year. In addition, Morton said the Bloch School has appointed a special faculty committee to oversee the processes involved in any rankings submissions going forward. The Bloch School’s benefactor, Henry Bloch, expressed appreciation for the thoroughness of the independent review. For the Hisrich report in its entirety, please visit: http://umurl.us/RHreport. For the PwC report in its entirety, please visit: http://umurl.us/PWCreport.